A new word has arrived that is interrupting our teenagers sleep (and their parent’s sleep as well): Vamping. The term is inspired by those legendary creatures of the night, vampires, and literally means “to stay up till the wee hours” each night, to spend time on your social media spaces. Vamping is a mass phenomenon in the United States, where millions of young people under 20 years of age are literally addicted to nightly, social networking. It’s starting to catch on among the young kids in Italy, with disastrous consequences to their schoolwork and “real” social life. Spending hours and hours on the Internet in a state of total absorption and poor vigilance can have severe consequences. These teenagers not only experience a loss of concentration, poor academic performance and a lack of “presence” in the family, but also a risk of developing chronic inflammations, with consequential dependency on prescription drugs. Even more serious are the risks of social withdrawal and voluntary isolation, described in scientific literature by the term Hikikomori, and FoMo (Fear Of Missing Out) syndrome, i.e. fear of “missing out” on social life. Although ignoring the need for a proper night’s sleep is a common trait among growing adolescents, developing an addiction is an even more serious issue that goes beyond mere disregard for a family rule, both in terms of quantity and substance. To avoid these risks, it’s best to understand that socializing is a very important need among teenage boys and girls, and that an overcrowded daily timetable can provide a plausible excuse to interrupt their only quiet hours. Therefore, the key factor is spare time: do everything possible to ensure that your children have enough free time to spend with their friends. 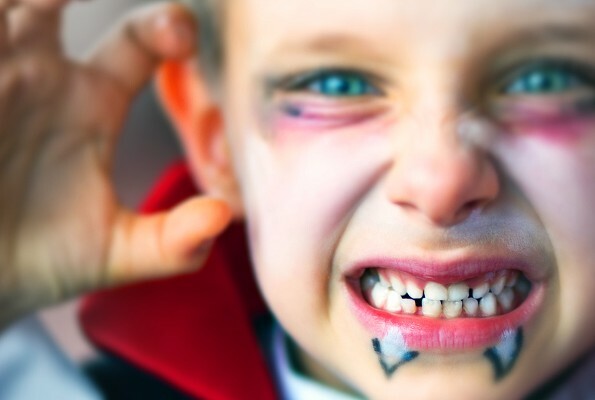 It may be necessary, particularly if you notice excessive drowsiness in your children, to take an occasional break from your own sleep to make sure that your children are not becoming “vampires”. If you have a Magniflex, you can rest assured that after your tour of inspection you will peacefully return to your sleep (and sleep soundly) until the following morning.